As a project manager, there are so many moving parts of every video’s production to keep track of. For any given video, I’m the centralized point person for our clients, sales team, scriptwriters, voiceover artists, storyboard artists, and animators. Now add on top of that 20 other videos in production under my direction at the same time, all at different stages of development or completion, and you can begin to imagine how hairy it can get! But because our videos have someone like me “conducting” all of these aspects, I can assure a cohesive project is being created as its central guide. And the most critical part of being able to accomplish this is having a solid sense of what works best to keep me focused and organized. I’m the kind of person who absolutely NEEDS to have breakfast within 90 minutes of waking up, or all my energy drains away, I become grouchy, my pace slows, etc. Maybe you’re the type who just can’t eat breakfast because your body is telling you it’s not ready for refueling until later in the day. But take a moment to notice how you feel hour by hour, what you’re eating, and when you’re eating it. I’ve noticed I’m at my peak performance when I eat a small snack-sized meal every 3-4 hours, and the balance consists of a fist-sized carb or piece of fruit (an apple cut into wedges), a palm-sized portion of a protein (a few big spoonfuls of Greek yogurt), and a thumb sized portion of a good fat (such as a few almonds). And it’s true what they say: Avoid sugar, avoid the crash. The next time you feel like you’re “in the zone,” stop and notice what you’re hearing around you. I’m the type of person who typically needs some amount of background noise in order to feel optimal comfort in my workspace. Ideally I like to have some music in the background at a low level as I work. What’s funny is it took a long time for me to understand the value of this, as I worked in a completely silent office for years thinking the extra sound would distract me! But instead, it turns out it “filled the space” for me, so to speak. I think on some subconscious level I associate noise with comfort, as I’ve always lived in and around cities, so having a baseline of sound relaxes me into a more focused state rather than a silent one where I’m trying to find additional stimuli. Of course, your mileage will vary here depending on your activity: When I’m writing (like I am right now), silence is best for me. The first and most basic form of organization I use is nothing more than forms I’ve created in Word. Glamorous, I know! These include the project questionnaire (or “PQ” for short), which collects the client’s overall directives for the video, such as what style they’re looking for (Cartoon? Whiteboard? ), the primary directive of what they want their video’s message to be, what audience the video’s content is aimed at, how humorous they want it to be, etc. This document serves as the touchstone piece all creatives throughout the process engage with in order to create a cohesive project. I also have a simple sheet our sales team fills out to brief me on the client’s contact information and any pertinent info I’ll need from the initial sale of the video, as well as a sheet for our clients to fill out to provide direction to their voiceover artists. What I like about using simple forms like this in Word is it doesn’t force anyone to download any unique software in order to provide this information (which of course everyone hates) and can be easily accessed and processed by anyone who receives it. For the same reason, I like to conduct my client interactions through email. Again, this removes any stress or confusion from the client’s end about having to download any special software in order to review their project’s materials and provide feedback. Gmail is by far my favorite email client because it’s so universally used and pretty user friendly in my opinion. I particularly get a lot of mileage out of the options to create and save canned responses (who has the time to type up basic instructions over and over?! ), calendar, and labels features. 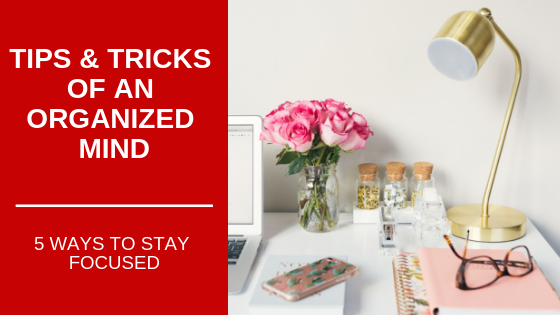 So we’ve talked about how to keep your client organization stress-free, but what about your own? From Asana to Zoho, there are many project organization software solutions out there, all with different interfaces and capabilities. Believe it or not, once you find The One, you can absolutely fall in love with it and look forward to using it every day. My personal favorite is Basecamp. During the production process, my team and I keep in touch via this centralized project management software where we can create different threads at each stage of the project to keep everything streamlined and easily accessible throughout the process. Each new phase begets a fresh thread so we can keep all of the initial storyboard’s, secondary storyboard’s, and final storyboard’s materials, feedback, and discussion separate from each other. This creates a sequential record of progress that gives us an easy reference point for who asked for what and when in the process. We also do this for each separate cut of the video as we buff and polish it to perfection for the grand reveal to the client! I love Basecamp because there’s really no learning curve to using it, so every new member of our team quickly masters it and can jump right in. Using a software that you genuinely enjoy using keeps you engaged with it instead of, say, defaulting back to email and Excel just because they’re there. Most of the time I work at my desk, but when I feel my concentration starting to falter or I’m feeling stuck trying to iron out some difficult aspect of a project, I know it’s time to move. I mean this in two ways: Both in taking a break, and in changing my space. Us computer-bound souls are all surely very familiar with the strain of digital eye fatigue, so don’t forget to get up and take a time out! I like to go for a quick 10-minute power walk around the neighborhood every few hours just to refresh my eyes and get my blood pumping (can’t be a bad thing to pump a little extra blood and oxygen to your brain, right?) But I also mean you should consider scooping up your laptop and changing the location of where you’re working. Sometimes this just means sitting at a table or a different desk than you normally do. Or this could mean moving to an armchair or sofa if you have one in the office. For me, there’s just something about inhabiting a different area with a different view, different lighting, different ambient noises, etc. that seem to “reset” my brain and renew my interest in the task at hand. It’s almost like becoming a different employee for a little while and putting “their” brain on the project instead of yours. If I can’t figure it out as Donnelle at my desk, maybe I can crack it as Caitlin on the couch! Don’t get stuck in a work rut! The most important wisdom I can impart to you is your brain is always craving some type of stimulation, and this is a taste of how I keep mine on a healthy diet at work. I hope you try some of these tips and carve a few new neural pathways to your success. Cheers!